The Ferplast Combi 1 Fun is an all plastic cage with a mesh grid on top to ensure internal ventilation. It comes with two floors to help your pet stay fit and healthy. Clips hold the side together which can be completely unlocked for cleaning. Bundled with the Combi 1 Fun is a feeder, nest, wheel, drinking bottle, ladder to the second floor, and plastic tubes to provide amusement. The Ferplast Combi 1 Fun has been made modular so can have extra accessories attached if you feel the need to expand. 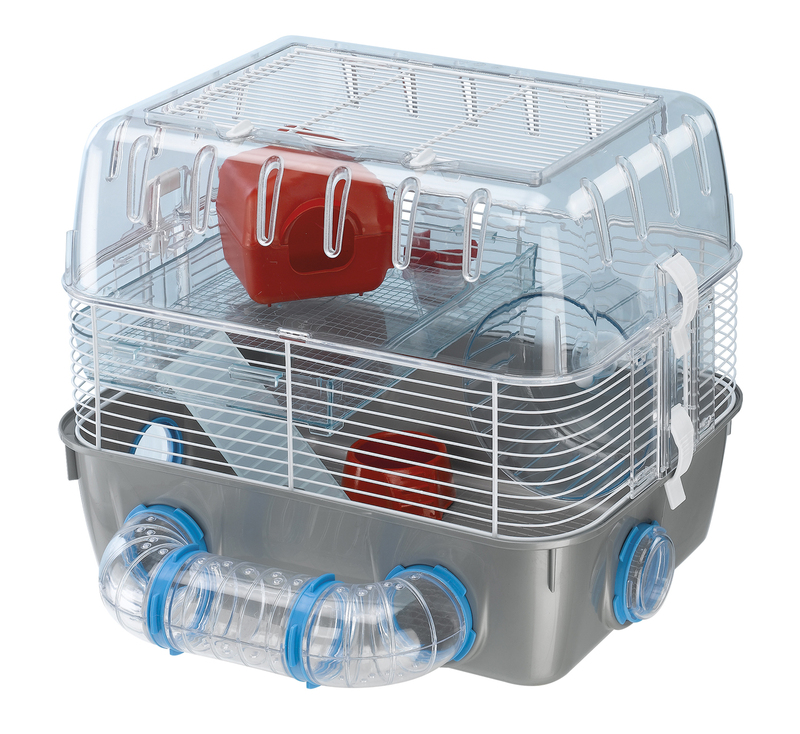 There are currently no questions for Ferplast Combi 1 Fun Hamster Cage - be the first to ask one!